These stills were taken during production of The Harvest (La Cosecha), a 2010 documentary directed by our late friend and collaborator, Robin Romano. The Association of Farmworker Opportunity Programs estimates that there are between 400,000 and 500,000 children working in American agriculture. They work alongside their families in every state picking our fruits and vegetables and missing school. As a result 50% of them will not graduate from high school. 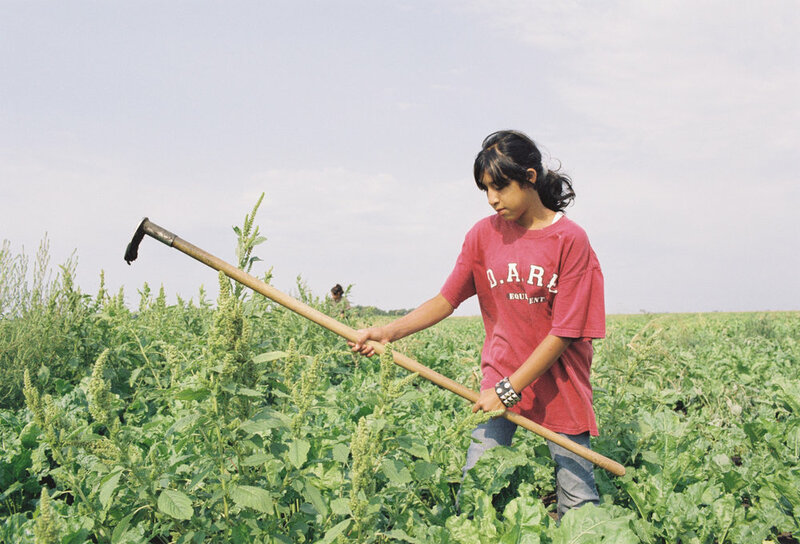 The Harvest followed families picking in Minnesota, North Dakota, Texas, Florida, Georgia, North Carolina and Ohio, and was used on Capitol Hill during a 2010 campaign for passage of the CARE Act, the proposed Federal that would outlaw child labor in the United States. Mariano waits in a field, while his mother and sister weed sugar beets.